Our material handling and plant layout minimize any chance that ferrous contamination of a non-ferrous surface will occur during processing in our facility. 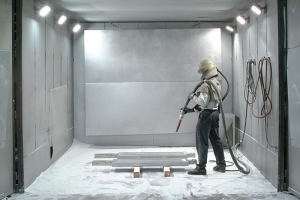 Our glass bead and crushed glass blast rooms are isolated far away from any steel grit processing. 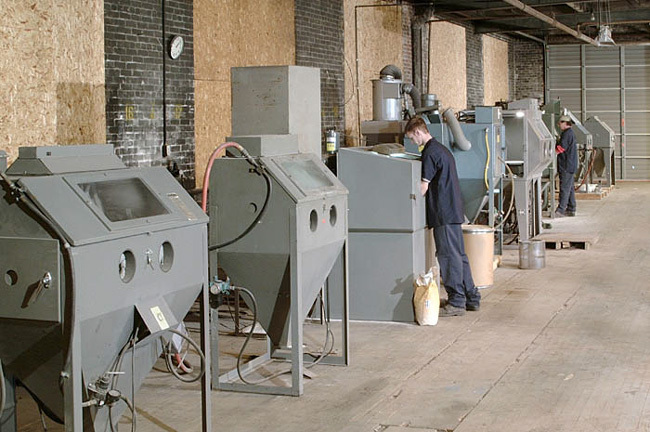 The glass bead blast room is dedicated to processing only stainless steel and non-ferrous materials. Small parts can be processed in blast cabinets or basket blasters set up for glass bead blasting. We utilize a variety of industrial and mil spec glass bead sizes as required by customer specifications. 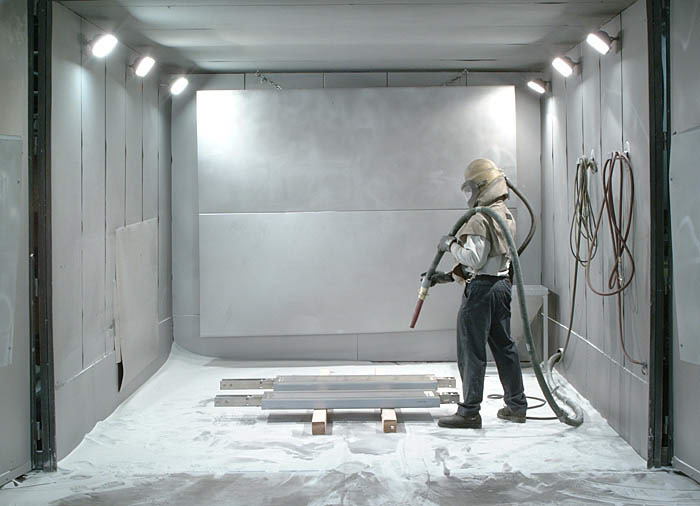 Special nozzles are utilized to insure our glass bead blasting produces the most uniform finish possible. Blasting with virgin material is available upon request.